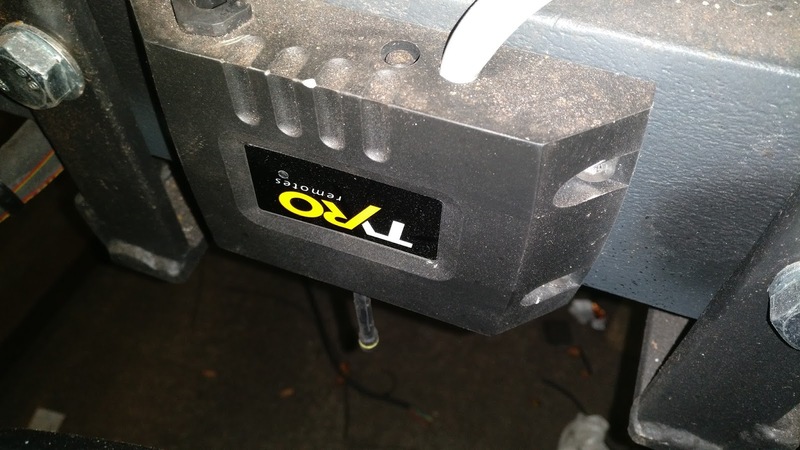 Only a small thing but the winch remotes are worth a mention, I used always use "Lodar" remote controls for my winch projects, but on contacting them the nice lady that i used to deal with has been replaced by an all new company man with a take it or leave it attitude. Apparently because i hadn't purchased from them in a while i have "lost my discount" furthermore they have increased there price drastically and now charge for simple software changes. Enter Dutch company "Tyro Remotes" . 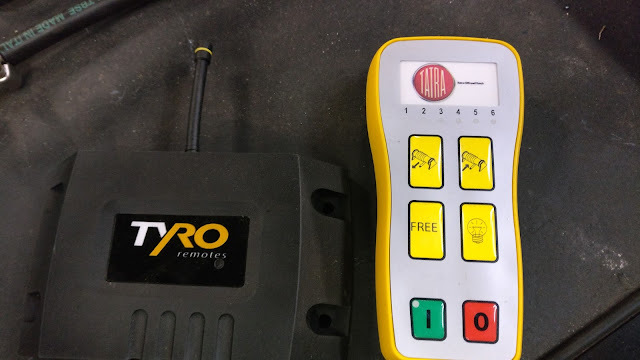 Totally different deal, extremely helpful wanted the business, don't charge extra for custom software, dont charge extra for custom buttons, they even put the truck logo on the remotes for me at no extra cost, and there remotes come with cradels and are rechargeable. The price ended up similar to lodar but for a far superior product and a much much better attitude. Here is the unit for the rear winch installed, because they are totally waterproof you can install them upside down, as i have here to keep the antenna clear of metalwork.